It's time for your family to start eating healthier! What are poor eating habits costing you and your family? 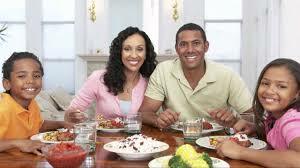 In this consultation, we will focus on nutrition for your family group as a whole as well as each person individually. Our goal with this session is to give you action steps you can take to immediately make improvements to your family's nutrition. Not sure if this session if for you? Set up your free 15-minute consultation so we can further discuss your needs.